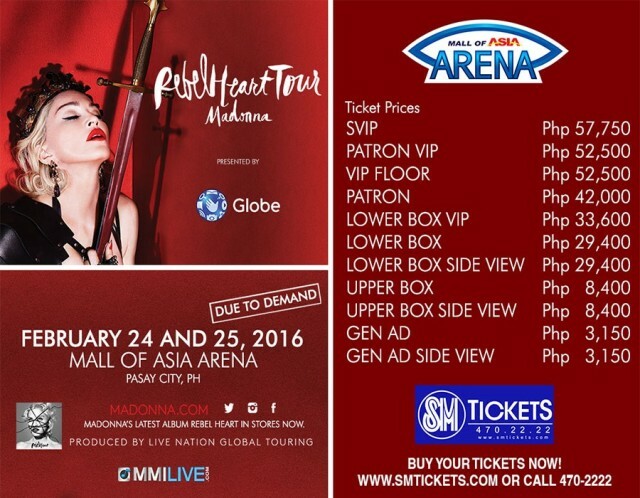 MANILA, Philippines - The Queen of Pop Madonna arrives today in the Philippines to do a 2-night concert at the SM Mall of Asia Arena on February 24 and 25, 2016 as part of her 'Rebel Heart' world tour. Madonna arrived in Manila at around 1:58 A.M. earlier today at the Ninoy Aquino International Airport after a successful Macau concert. The award-winning pop icon didn't pass through the normal customs, immigration and quarantine procedures as being implemented at the NAIA. Even airport and airline staff were barred from taking photos of Madonna through their phones. The global music icon who rose to fame with her popular 80s hits such as 'Material Girl', 'Crazy for You' and 'Like A Virgin' was only initially set to do a one-night showstopping musical performance at the MOA Arena, but due to the "overwhelming public demand", Madonna's team later on gave in to do a two-night historic concert much to the delight of her fans. The statement of having an additional night to the concert was made July last year by Live Nation Entertainment, the producer of the tour. Locally, it was network provider Globe telecom and Music Management International who organized the necessary things to bring the "Queen" to Manila. The Philippines is the second to the last stop of Madonna's 'Rebel Heart' leg tour in Asia. 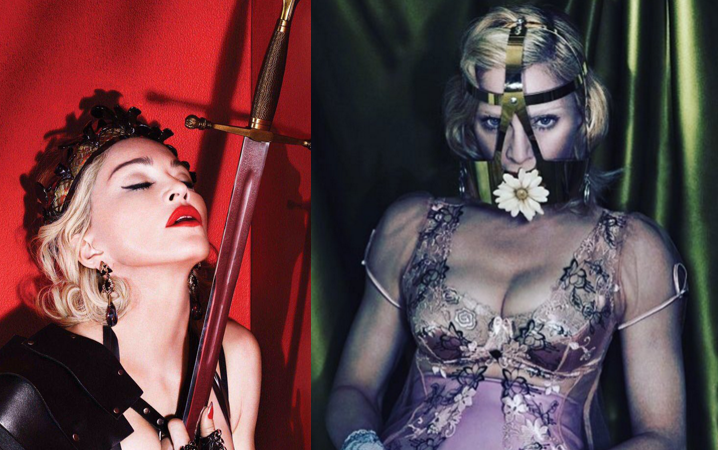 Tickets for the "Rebel Heart" concert began selling since August 2, 2015. Ticket prices ranges from PHP 3,150 (General Admission) to a staggering PHP 57,750 for Super VIP seating, the closest that fans can be with Madonna, making it one of the most expensive if not the most expensive of all foreign acts held in the country. Local media and fans were all over the Twitterverse to welcome Madonna's arrival to the country as well! #MADONNA IS IN MANILA!!!!!!! 2 DAYS AHEAD OF THE CONCERT. FANBOY HERE!!!!! The previous "Rebel Heart" concerts averages with 20 songs, grandiose set and wardrobe designs not only with Madonna's dresses but also her performing team in which the organizers are saying that the Pinoys will have a great value for their money.